This utility will start each word in the selected cells with a capital. All other characters will be converted to lowercase. For example the text 'new york' is changed to 'New York'. You can use this as a quick alternative for Excel's =PROPER() function. There is however a difference. This utility only converts the first letter of every word (the first word and everything after a space) to uppercase. 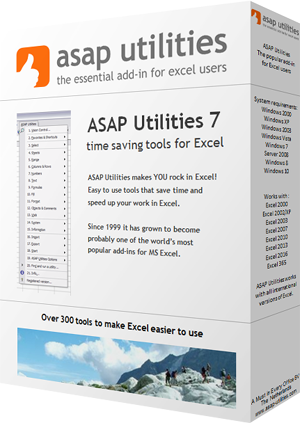 But Excel's =PROPER() also capitalizes all letters in the text that follow any character other than a letter. This utility can be useful with for example city names.